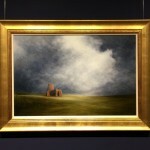 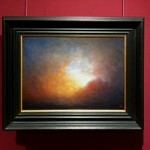 This original oil painting by Nial Adams is presented on stretched canvas and framed in copper with black. 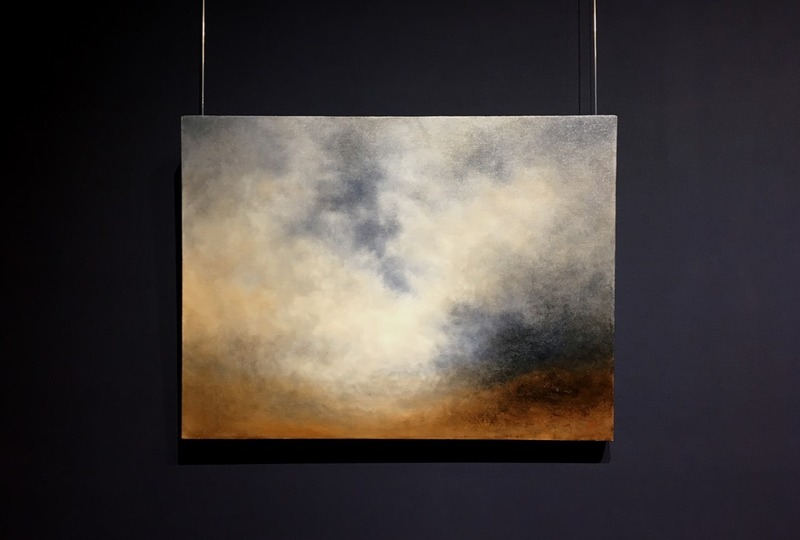 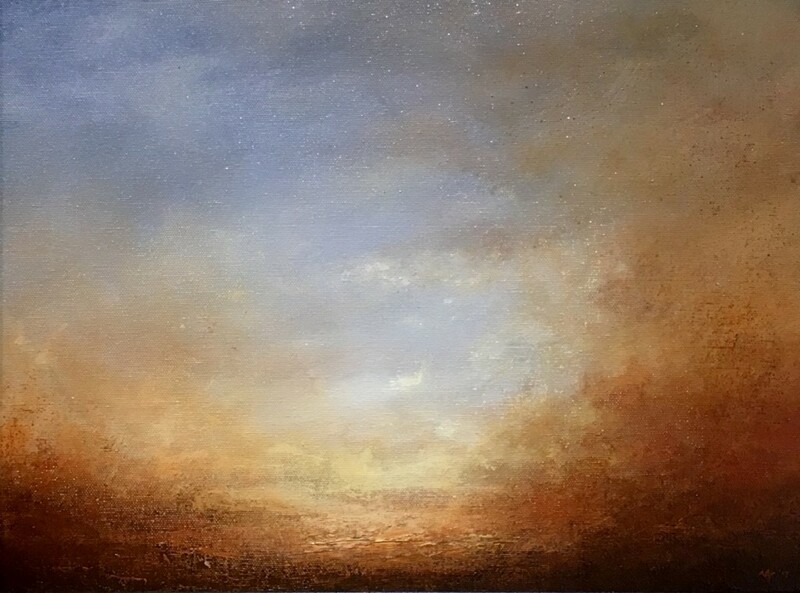 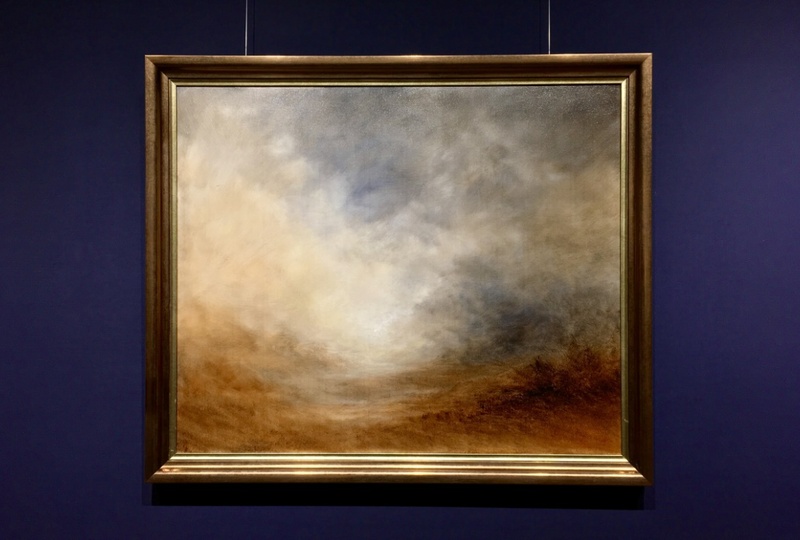 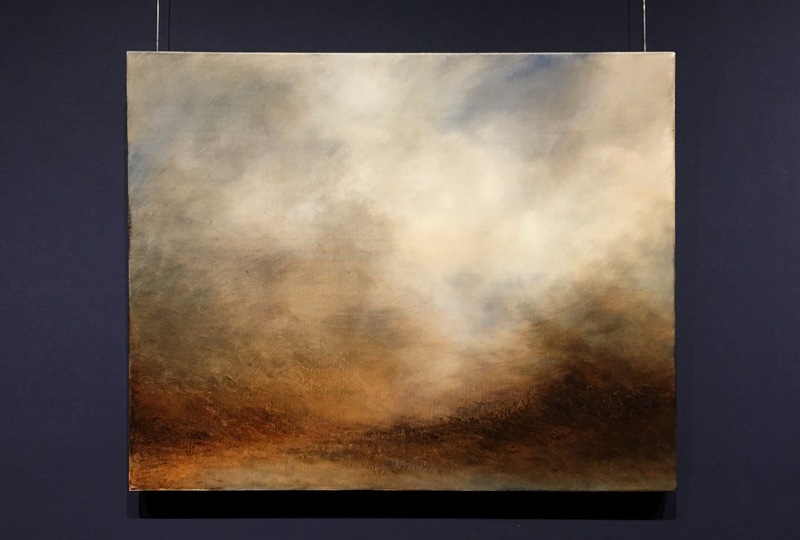 The second piece following a theme; a semi-abstract interpretation of evening light with dust and atmosphere casting warm skies with dark contrasts. 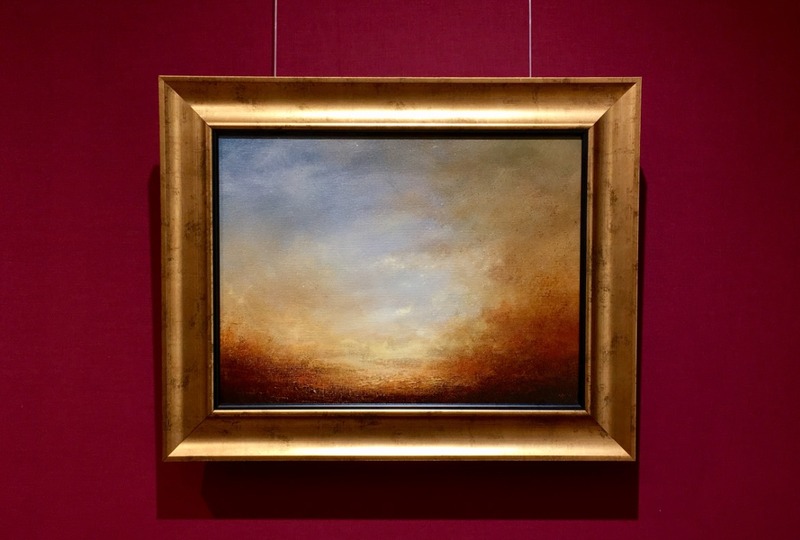 Set in a copper-coloured frame with black slip, this medium sized artwork captures light and reflects warm glowing colours.